In the ‘marketing world’, the purpose of a landing page is referred to as the call-to-action (CTA). Basically this means it is the action that you want a visitor to take on your landing page. When a visitor does this action, they have (as marketers say) ‘converted’ on the landing page. Need help creating one? This guide will be perfect for you! Before we get started, if you're not familiar with all a landing page entails, click below. Now that you're up to speed, let's begin. Go ahead and select the landing page contest on the top bar of your account. 2. You will now have the option to choose a template. Go ahead and look through the options and select one. If none match what you do as a business, no worries, select one based on the layout you like as you will be able to change the images and background color to what you like. 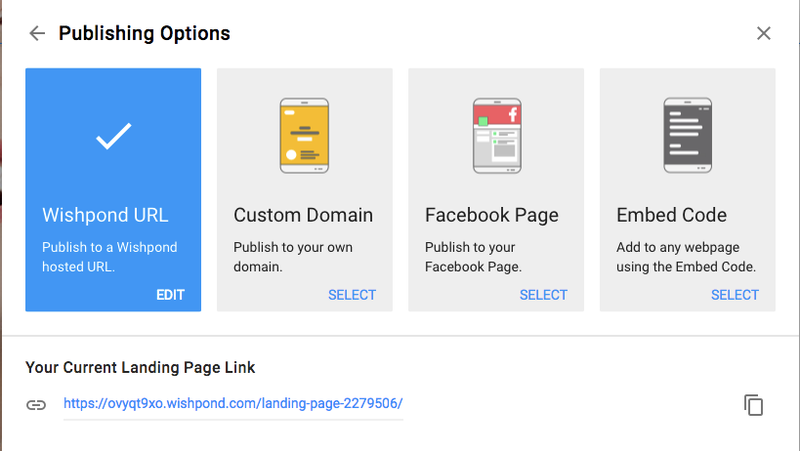 Once you have selected the template, you can go ahead and name your landing page. 3. You should now be on a beautiful landing page which gives you the option to edit so that you can customize it for your business. 4. 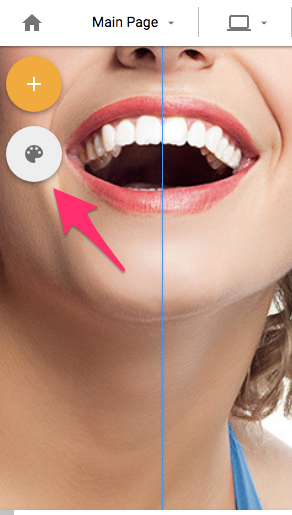 If you like to add some additional features, go ahead and click that orange PLUS button in the top left. 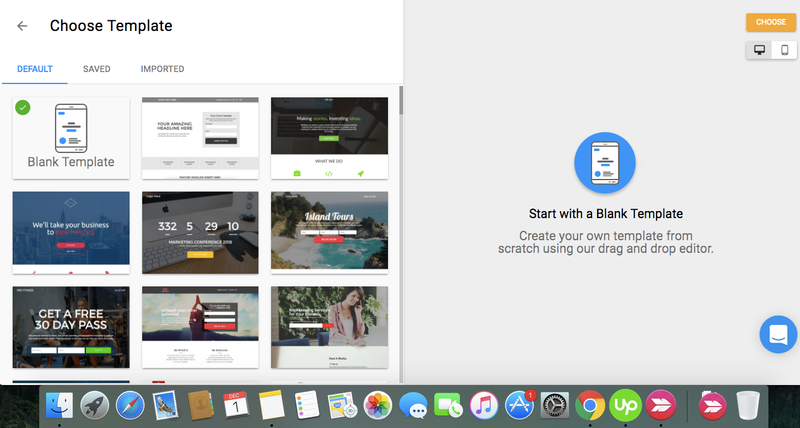 You can easily drag and drop these features on your landing page and have them customized with your images or personal text, videos and more. 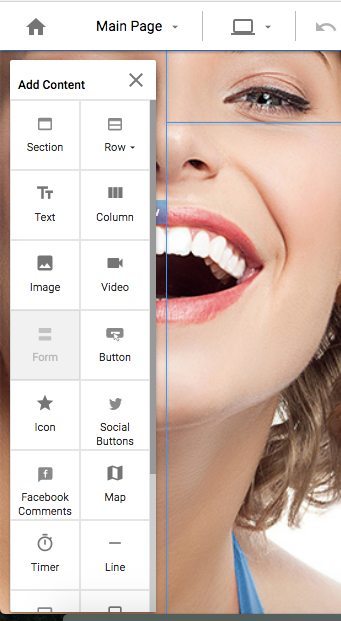 In the preview above, you'll notice that the Form feature is grayed out. This is because you can only use one form on a landing page and my page already has one. 5. 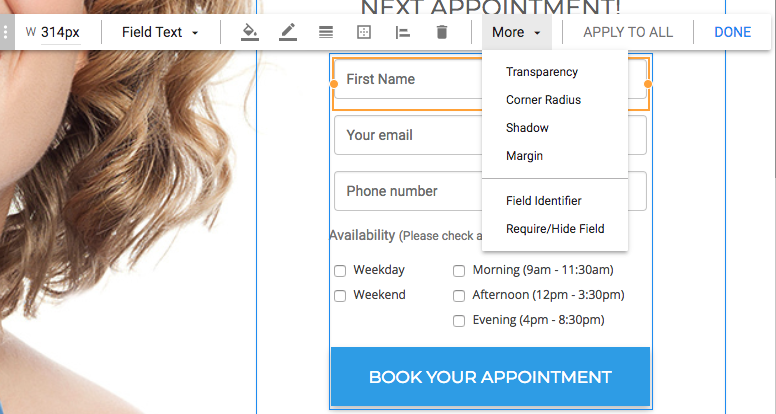 To add or remove form fields hover over it and click 'Edit Form'. A toolbar will appear with the option to 'Edit Fields'. To add a field click on 'Add Field', form fields that are already in your form will be displayed, click '+' to add other fields with existing lead properties. 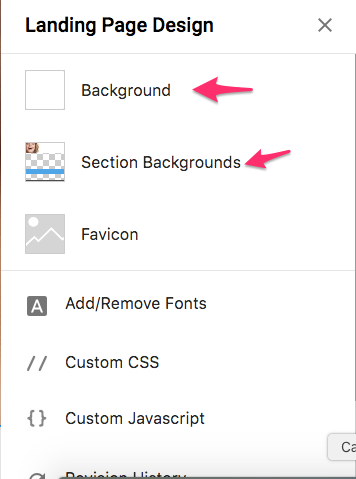 To add another custom field click on the green pencil icon. 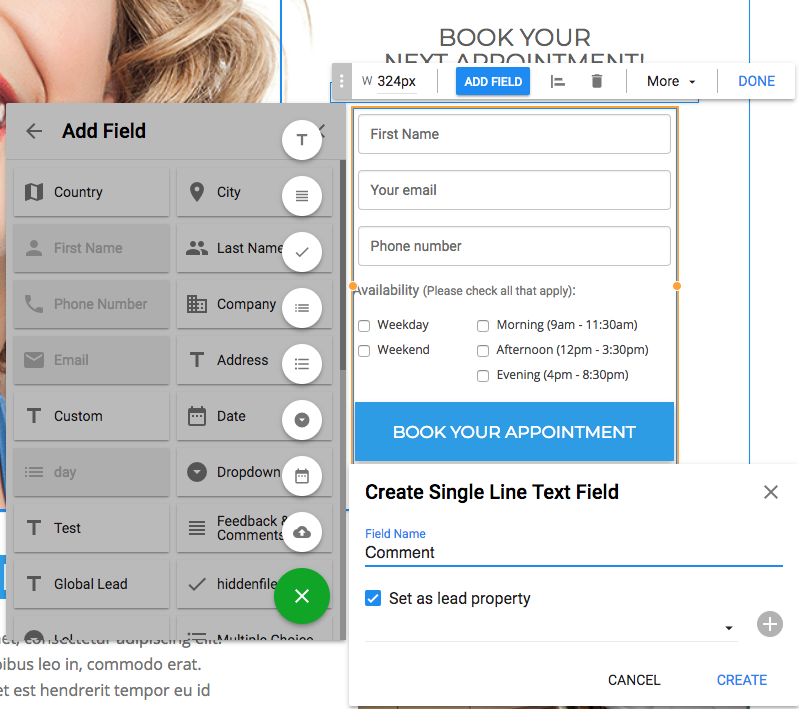 Once the field is selected make sure to set it as a lead property if you want to use it in further automation or as a merge tag. 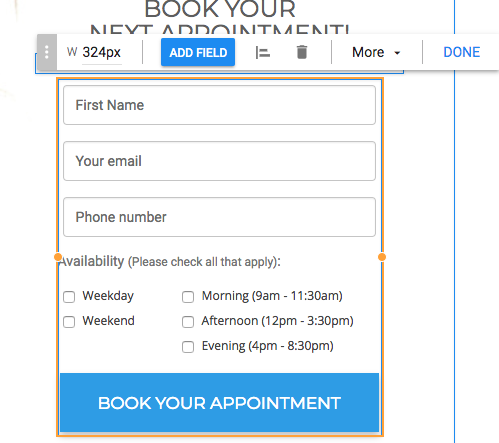 Clicking on a field will let you add extra settings like making it required or adding a field label. 5. To make changes to the background, you can use the option that looks like a pallet. 6. Once you have gone through and made your customizations, you can go ahead and preview your work before publishing. 8. You can use the Menu button once complete to navigate to the editing page so that you can now publish your awesome work. Click return to editor after clicking the button. 9. Go ahead and save your hard word, you can either 'Save As Draft' or you can 'Publish' your page to see it live. 10. 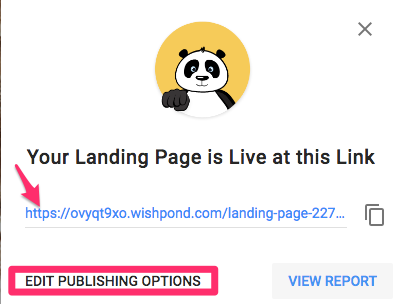 Publishing the page will automatically publish to a wishpond subdomain. You can now view it on a live link, and don't worry you can always change where it's been published by editing the publishing options. For more details on the different publishing options check out our Publishing Guide.